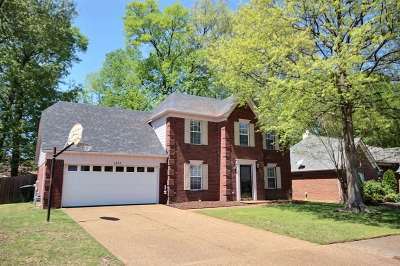 ~ WALKING DISTANCE TO JOHNSON PARK! ~ 4 large bedrooms (or 3 bedroom + bonus room with built in shelves & closet) - ALL on 2nd floor! Large Master Bedroom with sitting area & luxury bath with Jacuzzi tub and stand up shower, spacious great room, hardwood in dining room, title in kitchen, Covered back patio with extra concrete, Fenced backyard, Exterior painted April 2019, Collierville Schools!